Vespasian had been sent by Emperor Nero to quell the uprising in Judea that had, the year before, inflicted quite a number of heavy losses upon the Roman occupiers. Vespasian was chosen because, although considered to be an able commander, his humble background and parentage was seen as an impediment to any political challenge that he might pose to Nero, should he prove successful in battle. Thus, in 68 A.D. Vespasian invaded Judea, first in the Galilee, but with the objective of moving toward Jerusalem. That particular battle, however, was interrupted by the sudden death of Nero. This turn of events resulted in Vespasian returning to Rome and, in spite of Nero’s political maneuvering, eventually being crowned as Emperor. He didn’t forget about Jerusalem, though, leaving his son, Titus, in command of the Roman armies who did eventually destroy the city and the Temple in the year 70 A.D.
And so it was that a man who was considered a political outsider by the Roman establishment – a man who thumbed his nose at the Roman Senate and took pride in the fact that he was not part of of the establishment – was chosen to be the most powerful man on earth in his day. He was also the man who was, directly or indirectly, chosen to destroy Jerusalem and the Temple of God. The question is, though, chosen by whom? There are many particulars in this story that highlight principles we see in Scripture. For instance, for Jerusalem anyway, trouble always seems to come from the North. Also, God often allows what we would never expect in order to bring about His will. No one expected the commoner Vespasian to be emperor, but, apparently, God had other plans. And then there is this to consider: Nero’s death may have seemed, initially anyway, as if God was intervening on behalf of Jerusalem in order to spare it. However, it was only a delay in the inevitable. Yeshua had foretold of the destruction of the city and the Temple. Thus we understand that what God has determined, though it may be delayed, will come to pass. The purpose of this brief history lesson is to demonstrate how these same concepts apply to our lives. First, when trouble comes it typically comes from the same place that it always has in times past. In other words, we have a tendency to allow the same issues to trip us up and, so, we need to be aware of that and be on guard against it. Secondly, the very thing that men don’t suspect as being an issue might be the very thing God uses to bring about His will, many times to the chagrin of man’s wisdom. Finally, when God has determined something to be, even destruction, nothing and no one can stop it. But on a more positive side, in the midst of our troubles, God always provides provision and safeguards for His people. In fact, the same area that produces trouble can be the same area from which deliverance comes. In His campaign to redeem His people, Yeshua, like Vespasian, began in the Galilee and ultimately set his sights on Jerusalem. His obedience to the Father and our trust in Him makes it possible for the Creator to use the weakest among us to do the greatest exploits. He only asks that we humble ourselves and walk faithfully before him. 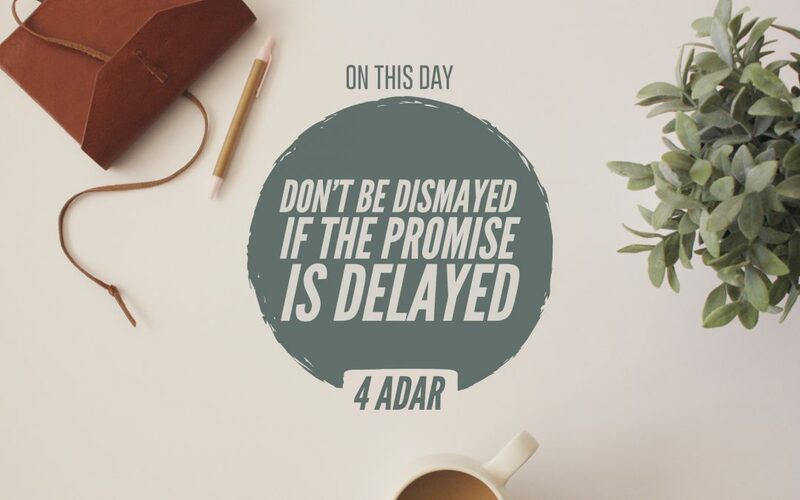 Finally, and perhaps most importantly, if He has promised something, though it may seem delayed or, from our point of view, even sabotaged, it will come to pass. And so the lessons of history don’t always have to speak to the negative aspects of life; they can demonstrate to us how the Creator wishes to use His people to be a positive influence on history, small though our contribution might be. Be that positive influence that He has created you to be today.